The Chartreux is considered an old French Breed of cat. Since the time of Charles de Gaulle it has enjoyed the status of being The National Cat of France. The Chartreux is one of the oldest of known natural breeds although its exact origins are lost in antiquity. It is one of the earliest breeds of cat referenced by name in the writings of early naturalists and historians from the 16th, thru the 19th centuries. Chartreux have been the subject of poems and appeared in a famous early painting. It is also known affectionately as the “smiling blue cat of France”. 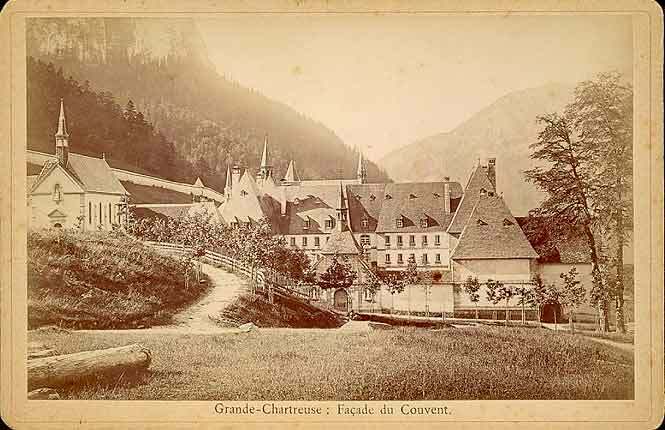 Oral tradition abounds linking the Chartreux with the Carthusian Monks and their Grand Chartreuse Monastery north of Grenoble, France. Although no written records survive form the early centuries of the Monastery, the endurance of such a strong and consistent oral tradition offer strong support for its authenticity. Oral and written tradition maintains that the Chartreux were the former mountain cats of Syria, reported to be blue or gray with golden eyes. Additional oral tradition maintains that the Chartreux travelled to France from the middle east along the early trade routes and possibly with the returning crusaders during the middle ages, many of whom chose the monastic life. Reports of cats matching this description existed in most of the areas along the Mediterranean routes between the Middle East and France where Christian Monasteries existed prior to the lands being overtaken by the advance of Islam following the Crusades. It is possible that the oral tradition may be referencing more than one early Christian Monastery. The Chartreux did not always enjoy the security and safety of the life of a monastic rat catcher. Due to the unique wooly texture of their coats they were also raised for their pelts which were often dyed and marketed as that of a more expensive species. Although this sounds disdainful, it probably did help to preserve the breed during the ages before they enjoyed being valued as companions. World War II brought an almost irreversible decimation to the breed. It caused the demise of many domestic animals in general throughout France and in some other parts of Europe. Those that didn’t die as the direct results of the war were often eaten by the starving populace. In France, following the war, no major breeding colonies of pure Chartreux were known to exist. One colony of Chartreux were found living on the grounds of a hospital located on a small island known as Bell Isle, located off the coast of Brittany. These blue/gray cats with wooly coats and golden eyes were known locally as “the hospital cats”. The Leger sisters who lived there began monitoring the cats, helped to care for them and eventually began controlling their breeding. Their Hospital Cats, which were probably one of the last breeding colony of Chartreux, became the nucleus from which our modern day Chartreux now descend. Due to the small size of the breeding population they eventually had to cross their Chartreux with other cats in order to maintain a healthy gene pool. The Chartreux bred by the Leger Sisters under the cattery name of le Guevere were mated with Blue British Shorthair and early blue Persians that were owned by members of the Paris Cat Club. They were also crossed with feral stock that was felt could approximate the type of the Chartreux. These offspring in turn were mated back to offspring of the original Bell Isle Chartreux. The pedigrees containing these early matings exist on-line for those interested in studying the foundation lineage of our modern day Chartreux. Many surprising and interesting facts are there for the exploration. The fact that our Chartreux have maintained their relative original type is a testament to how strongly their breed type had previously been set. It is interesting to look at the photographs in Jean Simonet’s book “The Chartreux Cat” and see how strongly some of our present day Chartreux resemble cats that the author originally acquired from descendants of the Le Guevere cattery. Many of the Chartreux imported into the US in 1970/1971 by Helen Gamon were from this same original stock. Readers who are interested in more information are encouraged to obtain a copy of “The Chartreux Cat” by Jean Simonet translated into Engllish by Gerald Auerbaugh.